Our Mission at Northland Counseling Center, Inc. is to Promote Hope and Recovery through Mutual Respect, Trust & Empowerment. 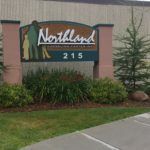 At Northland Counseling Center Inc. we have a team of mental health professionals that specialize in Dialectical Behavioral Therapy, Hypnosis, EMDR, Trauma Focused-Cognitive Behavioral Therapy, Animal-Assisted, Equine-Assisted Growth and Learning (EAGALA) and Play Therapy Techniques. 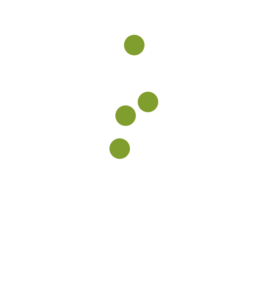 We offer a variety of services throughout Itasca County. Our team consists of the following services: Psychiatry, Out-Patient Mental Health, Mental Health-Targeted Case Management, Core Wellness Day Treatment Program, Adult Rehabilitative Mental Health Services (ARMHS), Peer Support Services (PSS), Housing Services, Corporate Adult Foster Care, Kiesler Clubhouse, Mobile Crisis team, and Chemical Dependency services for adults and adolescents. We work collaboratively as a team to ensure our clients receive the best care possible. Full-time Adult Mental Health Practitioner position providing Adult Rehabilitative Mental Health Services (ARMHS). Services are provided individually or in a small group setting. ARMHS instructs, teaches, assists and supports adults with basic living and social skills including: community resources, crisis assistance, mental illness symptoms management, household management, relapse prevention and more. Hold a bachelor’s degree in a behavioral science or related field from an accredited college or university and meets either one of these: (a) Has at least 2,000 hours of supervised experience in a delivery of mental health services to recipients with mental illness OR (b) Is fluent in a non-English language of a cultural group to which at least 50% of the clients belong, completes 40 hours of training in the delivery of services to clients with mental illness, and receives clinical supervision from a mental health professional at least once a week until the requirements of 2,000 hours of supervised experience are met. Has at least 6,000 hours of supervised experience in the delivery of mental health services to recipients with mental illness. Holds a master’s or other graduate degree in one of the mental health professional disciplines from an accredited college or university. Clinical Supervision available towards licensure is available. Currently seeking part-time staff in our adult foster care home for adults with mental illness. Shifts would include mornings/afternoons and at least 2 weekends per month. Must work well as a team, have patience, a positive attitude, and enjoy working with people. Experience working with individuals with disabilities preferred but not necessary. Employment is contingent on passing a background check and current drivers license. Assist in providing care and program services to persons served by Northland Counseling Center in a “farm like” country setting. Educate, promote and facilitate independent living and social skills, recreational opportunities and work/volunteer participation. This position is responsible for providing direct support and assistance to individuals in accordance with program policies and procedures, as well as personal outcome measures. Part-time to Full-time. Flexible hours and a variety of shifts offered, including days, afternoons, evenings and overnights. Every other weekend will be required with most shifts. Provide supports to persons served by assisting in the development and implementation of all support plans and in the achievement of the goals and outcomes set forth, along with providing interaction and choices for activities that support a meaningful day. Provide support, assistance and prompting of daily living activities, including bathing, chores, cooking, cleaning, laundry, transportation, appointment scheduling/management, monitor and assist with medications, medical conditions and special diet plans. Participate in 1:1 interactions with residents as assigned and assist with treatment plans, program goals and behavior management. Review of resident-specific plans, individual service recipient needs, positive support strategies and understanding of staff responsibilities toward their implementation. Develop and maintain recreational program schedules and weekly meal plans. Maintain open communication, professionalism and cooperative work effort with other staff, supervisors, managers and support team members. Follow documentation, reporting and record keeping procedures. Maintain clean, safe and orderly environments for all residents and staff. Monitor and document behavior incidents and assist with information gathering. Maintain and expand skills and knowledge relevant to providing high quality services. Obtain all required certifications and trainings, as well as maintain knowledge of current 245D policies, procedures and topics. Professional standards and boundaries in relation to residents, colleagues and the community. Must be 18 years of age, or older, and pass a criminal background study. Possess good verbal and written communication in English, along with basic computer skills. Interest in assisting people to achieve personal outcomes and to provide person centered supports. Willingness and ability to communicate with and relate to individuals, parents, guardians, fellow staff, representatives of community agencies and company management. Ability to work effectively with others or independently, accept responsibility, be flexible with respect to hours of work and changing conditions, be of good moral character and be able to work in both structured and unstructured situations. Valid Driver’s License and auto insurance with a reliable vehicle. Obtained a master’s or other graduate degree in one of the behavioral sciences or related fields from an accredited college or university. 6000 hours of supervised experience in the delivery of clinical services in the treatment of mental illness. We require proof of this experience during the screening process. Please fill out an application at/or mail resume to NCC, 215 SE 2nd Ave. You may also email resume with references to creinarz@northlandcounseling.org. Our Mission at Northland Counseling Center, Inc. is to Promote Hope and Recovery through Mutual Respect, Trust & Empowerment. At Northland Counseling Center Inc. we have a team of mental health professionals that specialize in Dialectical Behavioral Therapy, Hypnosis, EMDR, Trauma Focused-Cognitive Behavioral Therapy, and Play Therapy. We are currently seeking a full-time Clinician in our Grand Rapids, MN office! At Northland Counseling Center, Inc. we offer a variety of services throughout Itasca County. Our team consists of the following services: Psychiatry, Out-Patient Mental Health, Mental Health-Targeted Case Management, Core Wellness Day Treatment Program, Adult Rehabilitative Mental Health Services (ARMHS), Peer Support Services (PSS), Housing Services, Corporate Adult Foster Care, Kiesler Clubhouse, Mobile Crisis team, and Chemical Dependency services for adults and adolescents. We work collaboratively as a team to ensure our clients receive the best care possible. Provide services that are consistent with Northland Counseling Center, Inc.’s Mission Statement: Promoting Hope and Recovery with Mutual Respect, Trust, and Empowerment. Actively refer, engage, and coordinate with ancillary services provided throughout Northland Counseling Center, Inc. Complete Diagnostic Assessments and Progress Notes following documentation standards. Diagnostic Assessments are to be completed within 10 days and Progress Notes are expected to be completed within 48 hours of service delivery. Work collaboratively with all staff and programs at Northland Counseling Center, Inc. and its entities.